The Petrotech 2019 Exhibition will have over 13 country pavilions and around 750 exhibitors from over 40 countries, with exclusive areas on the Make in India and Renewable Energy theme. 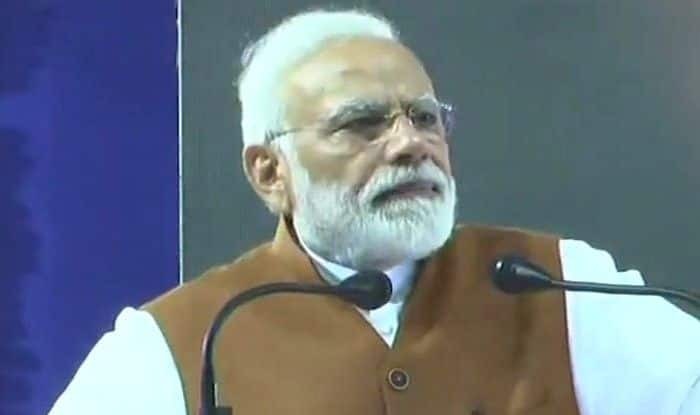 New Delhi: Prime Minister Narendra Modi will be on a one-day visit to Uttar Pradesh on Monday where he will be inaugurating Petrotech 2019 at India Expo Centre in Greater Noida. Later he will also attend a Three Billionth Meal programme organised by the Akshaya Patra Foundation at Vrindavan, Mathura. PM Modi will also have lunch with children during the event. PM Modi will also unveil a ceremonial plaque to mark the serving of “3rd billionth meal” by Akshaya Patra Foundation at Vrindavan Chandrodaya Mandir campus in this holy city. After the inaugural address, PM will have lunch with school children. Uttar Pradesh Chief Minister Yogi Adityanath, local Member of Parliament Hema Malini and Union HRD minister Prakash Javadekar are likely to attend the programme. Other dignitaries who are expected to grace the occasion include Shrikant Sharma, Laxmi Narayan Chaudhary and Anupma Jaiswal. The programme would be streamed live on the Web across all 42 centres of Akshaya Patra in the country. The programme is being organised after the foundation achieved the goal of providing food to 300 crore school children. Reportedly, ‘Bahubali’ team member is likely to attend the event in Vrindavan. Celebrity chef Sanjeev Kapoor is also expected to attend the programme. Notably, director and screenwriter S S Rajamouli is one of the goodwill ambassadors of Akshaya Patra Foundation. NGO Akshaya Patra foundation serves as a partner of the Mid-Day Meal Scheme. The foundation has served mid-day meals to 1.76 million children in 12 states. In 2016, Akshaya Patra had served 2 billion cumulative meals in the presence of the then President Pranab Mukherjee. Funded by an International Society for Krishna Consciousness (ISKCON), Akshaya Patra is a Bengaluru-based not-for-profit organisation that works with the government on mid-day meal schemes. It has a state-of-the-art kitchen in Vrindavan. This flagship hydrocarbon conference will showcase the recent market and investor-friendly developments in India’s oil and gas sector. The exhibition is being organised under the aegis of the Ministry of Petroleum & Natural Gas. Over 95 Energy Ministers from partner countries and 7000 delegates from around 70 countries are expected to participate. Along with the Conference, the event will have a concurrent exhibition spread over 20,000 square meters at India Expo Mart, Greater Noida.